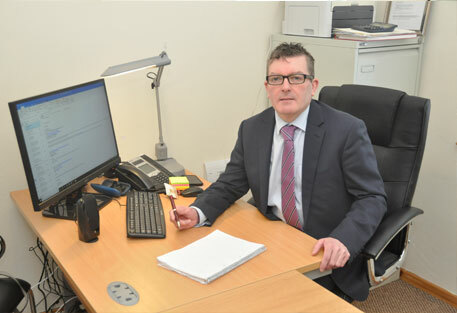 PASS ASSOCIATES based in Banbridge was founded in 1998 by Peter Shortt. Peter graduated with a B.S.Sc Degree in Accountancy from Queens University Belfast and then completed ACCA professional studies at University of Ulster. Peter is also a member of the Institute of Financial Accountants and a Fellow of the Chartered Management Institute. Following a period of working in general practice, Peter worked in public sector audit and in local government, specialising in EU grants administration and project management. He has extensive experience in the field of economic development and has been involved in the delivery of a number of EU grant funding programmes to the small business, rural economy and cross border tourism sectors. Peter also has extensive experience assisting businesses access capital funding and establishing relationships with & securing funding from Invest NI, Intertrade Ireland and the local banking sector. He has particular expertise in the preparation of business plans, funding applications and client liaison. Peter has also undertaken studies in Intellectual Property (IP) Law and Commercial Property Law. PASS ASSOCIATES is a networked team of enthusiastic, experienced & qualified professional business advisors covering all the key areas required to develop a successful, solvent business model. Each member of the PASS ASSOCIATES team is a member of a recognised professional body and covered by the relevant professional indemnity insurance cover. In developing successful business solutions, cost & time can be saved through the sharing of information with our business advisors working in collaboration on individual clients’ behalf. Copyright © 2019 Pass Associates All Rights Reserved.